The VeritasRegistras Board of Directors is made up of seasoned individuals determined to deliver superior services to both individuals and organizations. Jim Ovia (CON) is the pioneer entrepreneur that established Zenith Bank Plc, one of Nigeria’s largest and most successful financial institutions. Jim has held a long-term passion for technology, spurring him to establish Visafone in 2008, which has grown to become Nigeria’s fourth largest mobile phone company. Other private equity ventures undertaken include Cyberspace Networks Limited an IT infrastructure company that designs, builds, manages, and optimizes customized networks and network-related solutions. Jim is a noted philanthropist and the founder of the ICT/Youth Foundation. Jim holds a Master’s of Business Administration from the University of Louisiana, USA, and a B.Sc degree in Business Administration from Southern University, USA, and he is an Alumnus of Harvard Business School; (OPM) Executive Management Program. Elaine began her career with Watson Towers, the largest global actuarial consultancy advising FTSE 100 companies on both the asset and liability side. She later joined PSolve Asset Solutions, the fund-of-funds subsidiary of Sanlam Bank SA where she focused upon delivering tailor-made liability-driven investment solutions to top UK corporate pension plans, with a focus upon alternative assets. She then moved to Gissings Consultancy Services as Head of R&D, developing derivative based solutions for institutional clients. Elaine joined Zenith Bank Plc in Nigeria within the Corporate Finance & Advisory team and rose to become the head of Corporate Strategy & Advisory. She served on the Investment Committee as an Investment Strategist for the Zenith Bank range of mutual funds. Elaine holds a Diploma in Actuarial Management and a BSc in Actuarial Science from the Cass Business School, London. She is a member of the Institute of Actuaries and a Fellow of the Institute of Mathematics and Applications. Mr. Onwubuya has over 20 years of Business, Security and Network consulting experience with several companies in Nigeria. 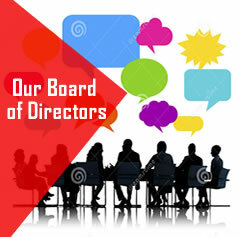 He is currently a Director of Cyberspace Network Limited, where he oversees the growth and direction of the Company. Has held various positions in large integration and consulting companies and has served as IT consultant to numerous financial institutions. He is a network veteran in particular and an IT professional in general. Engr. Onwubuya holds a Bachelor’s degree and a Masters degree in Electrical/Electronic Engineering from the University of Lagos. Mr. Abulele has over 20 years of experience in leading, managing and growing technology-focused business endeavors. In his current position as the Chief Financial. Officer (CFO) of Cyberspace Network Limited, he has driven various private sector based projects earning the trust of his colleagues and clients. He has been responsible for policy formulation, conceptual development, and implementation of various R&D projects relating to how more value can be delivered to customers at an affordable cost. He has over 25 years banking experience spanning Credit Administration and Credits Risk Management which he garnered from IMB International Bank Plc and Zenith Bank Plc. He is a Lawyer and a Fellow of the Institute of Capital Market Registrars (FCMR) and heads the team responsible for implementation of Policy and guidelines for the Company as set by the Board of Directors. Bayo is a HND holder from The Federal Polytechnic Ilaro, He holds a Masters degree in Public Administration (HRM/Finance) from the University of Lagos, an LL.B from the University of Lagos and a B.L.